A poster presentation of PCMA achievements in the last season will open on the first day of the “Poles in the Near East 2017” conference. The bulk of the exhibition is made up of the latest discoveries of PCMA missions working in 12 countries of northeast Africa, the Near East and Transcaucasia. They have been arranged to highlight the research clusters pursued by the PCMA, which involve not only excavation work, but also other walks of archaeological life. Accordingly, the exhibition presents also other activities of the institution and its associates. Among them are the preparation of publications on the results of excavation projects, processing and archiving of field documentation as well as popularization of research in the form of conferences, lectures and exhibitions. The role of the PCMA Research Centre in Cairo is highlighted, with emphasis on its role in the animation of the scientific community of Polish archaeologists and specialists working with missions in Egypt and Sudan, as well as PCMA scholarship holders. 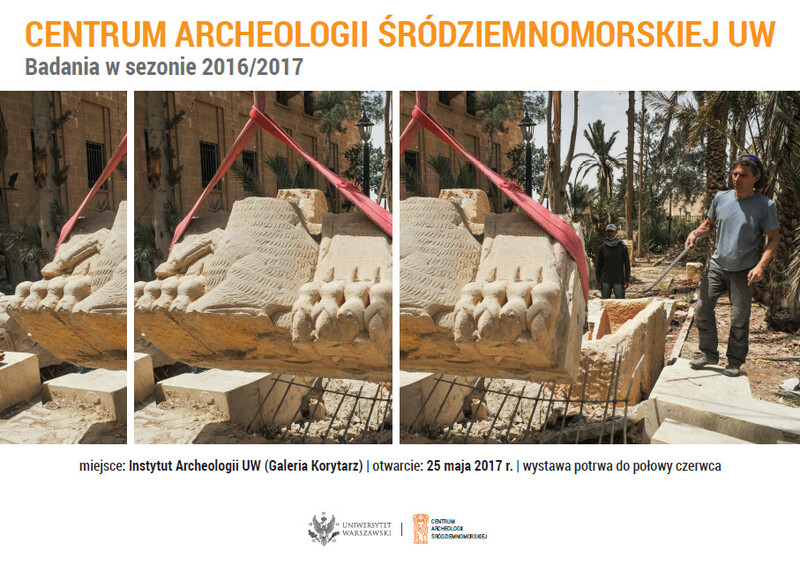 The exhibition (in Polish) can be seen until mid-June in “Galeria Korytarz”, Institute of Archaeology, University of Warsaw main campus, Krakowskie Przedmieście st. 26/28.